You will find here a wide range of papers and the search engine will enable you to look up anything of particular interest. The topics covered include greenhouse gas theory; solar and planetary influences on the earth's climate; predictions of future climate; the history of climate change; the economics of energy and technology; energy security; the role of the IPCC in promoting global warming hysteria; the response of Australia's governments to the decarbonisation campaigns of the Environmentalist movement and the media. "The object of the Author in the following pages has been to collect the most remarkable instances of those moral epidemics which have been excited, sometimes by one cause and sometimes by another, and to show how easily the masses have been led astray, and how imitative and gregarious men are, even in their infatuations and crimes," wrote Charles Mackay in the preface to the first edition of his Extraordinary Popular Delusions and the Madness of Crowds. I want to discuss a contemporary moral epidemic: the notion that increasing atmospheric concentrations of greenhouse gases, notably carbon dioxide, will have disastrous consequences for mankind and for the planet. This contemporary "climate crusade" has much in common with the medieval crusades Mackay describes, with true believers, opportunists, cynics, money-hungry governments, manipulators of various types, and even children's crusades.... Read the full document here. In meeting targets agreed at the 2002 Kyoto Convention, the precursor to the Paris Agreement, Australia, by preventing land clearance, reduced emissions by 100 million tonnes a year of CO2 equivalent. Comprising almost 20 per cent of total emissions, this reduction allowed Australia to claim that there had been a negligible increase over the period 1990-2012, and Australian politicians were able to bask in diplomatic plaudits at farmers’ expense... Read the full document here. A massive expansion of Greenland ice is taking place. At the end of the 2018 season (31 August), 517 billion tonnes more snow fell than the snow and ice that melted into the sea. The aggregate level of snow was 150 billion tonnes above the average for 1981-2010. Read the full story here, as well as the rest of the January edition of Climate News. The September edition of Alan Moran’s Climate News includes some recent (non-alarmist) climate science, the rising price of electricity in most Australian states and, against a backdrop of political turmoil, the politics of emissions and energy---both in Australia and overseas. Not forgetting, of course, the usual smattering of 'nutty' stories from the alarmist brigade. Read the full document here. This volatility appears to make freak wholesale price spikes more likely. 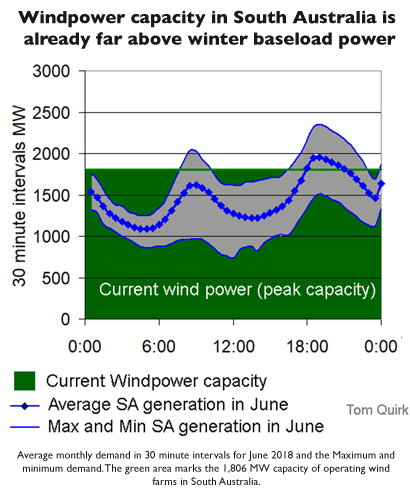 Quirk calculates that one hot January day last year was so wildly expensive in South Australia it added $2/MWh to the entire years average wholesale cost. Can’t beat that for excitement in the trading room floor. Read the full text of the PDF here. The analysis of satellite lower troposphere temperature data compared to observatory CO2 concentration data contradicts the IPCC claim that CO2 causes atmospheric warming. Instead, the analysis shows that there is a statistically significant probability that the temperature controls the rate of change of the CO2 concentration. This is supported by the fact that the temperature and the rate of change of CO2 concentration have identical autocorrelation functions and Fourier Transform spectra. These reveal that there is a prominent 42 month cycle for the temperature due to the synodic period of the Sun, Earth, Moon configuration which is expressed in the Earth’s climate as the El Nino event. Will Australia make it to Paris 2030? 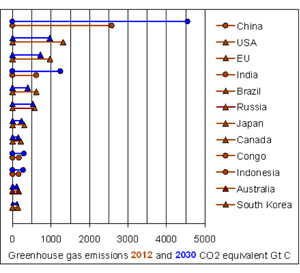 In 2005 Australia emitted 608 million tonnes (Mt) of CO2 – equivalent greenhouse gases. 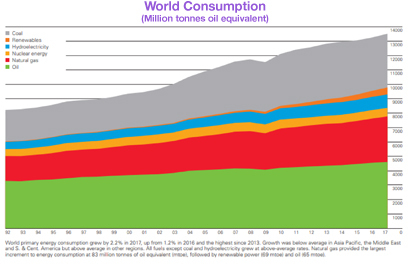 To achieve a 26 to 28% reduction we must cut emissions to an average of 444 Mt. Read the full text of the open letter here. The June edition of Alan Moran’s Climate News deals with the usual mix of the serious and the whimsical. It includes recent serious work on temperature data, the real economics of renewable energy and the precarious position of Professor Peter Ridd. But there are also whacky alarmist stories about Cuba’s environmental prowess, the alleged rise of dengue fever and carbon-credit-backed ice cream. Oh yes! Read the full document here. "In summary, given the intense political interest in climate change with far reaching economic implications, and the relatively recent transition to a very different methods of measuring temperatures (mercury thermometer to electronic probe), it would be assumed that there are dozens of reports published by the Bureau that document how comparable the measurements have proven at different locations, and under different conditions. Yet there are none! Without independent verification, these temperature recordings of the Bureau are open to dispute and the integrity of the Bureau and the Government is degraded." Read Dr Marohasy’s full letter here. The April edition of Alan Moran’s Climate News deals with the serious and the silly—serious news on latest temperature data, storm and hurricane frequency; legal and diplomatic disputes from around the world that allege some connection with climate change; the economics of energy; and the usual weird and wacky claims that climate change is responsible for all manner of things. Read the full document here. The sources and sinks of atmospheric CO2 are not well understood. The occurence of decadel ocean oscillations cannot be predicted. 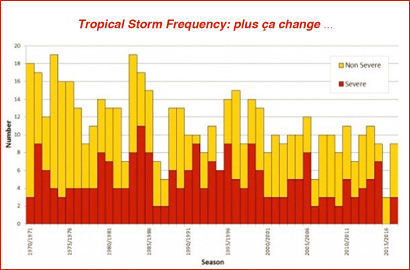 The oceans have variable performance with El Nino La Nina events. Forest and peat fires have been ignored compared to CO2 from fossil fuels. The expanding forest sink for CO2 needs further exploration. Record cold in America has brought temperatures as low as minus 44C in North Dakota, frozen sharks in Massachusetts and iguanas falling from trees in Florida. Al Gore blames global warming, citing one scientist to the effect that this is "exactly what we should expect from the climate crisis". 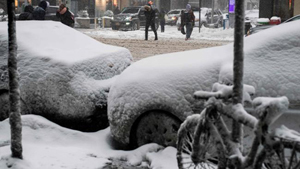 Others beg to differ: Kevin Trenberth, of America’s National Centre for Atmospheric Research, insists that "winter storms are a manifestation of winter, not climate change". Read the full document here. The latest edition of Alan Moran’s Climate News covers a wide range of topics—the latest ocean temperature and sea-ice data; the role of coal in power generation (and who is prepared to fund new coal-fired plants); the ongoing saga of the emaciated polar bear; and more on the impending ‘death’ of the Great Barrier Reef because of global warming. Read the full document here. Dr Ian Flanigan's article, "The core of climate science is in the real-world data" (News Weekly, November 17), rightly mentions data to prove hypotheses, and convincingly shows two graphs to disprove the carbon dioxide raises global temperature hypothesis. In late breaking news Michael Mann has been found guilty of contempt of court for refusing to hand over documents he claims to have in his libel action against Tim Ball. 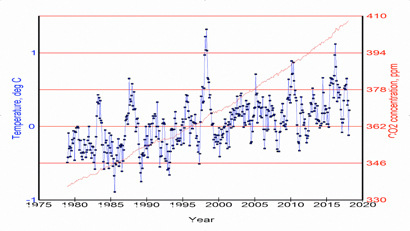 Sensationally, a paper by the doyen of the warmistas with Ben Santar as the lead author and the litigious Mann as a co-author finally admits that the climate models they concocted are not tracking reality. With preparations under way for the Intergovernmental Panel on Climate Change's next report, a key challenge for scientists remains to explain properly the 20-year slowdown in surface temperature rises and the failure of models to predict it. "Blueprint for the Future", Chief Scientist Alan Finkel's report into the future security of the National Electricity Market, claims four key outcomes: increased security, ­future reliability, rewarding consumers and lower emissions. generation plants by 30 per cent below their 2005 levels; and a moratorium on federal coal leasing. Climate science has failed public policy, respected and disenchanted climate scientist Judith Curry argued to the US Congress this week. The United States Congress will investigate America's National Oceanic and Atmospheric Administration (NOAA), following revelations by a senior climate scientist that the government agency faked evidence to claim that global temperatures had soared over the past 20 years, contradicting earlier evidence of a 20-year pause. 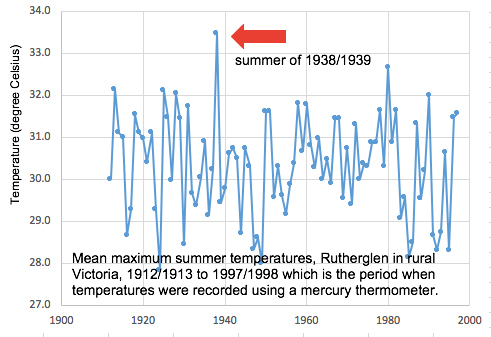 Jennifer's latest article on the the historical temperature record for Australia (and the BoM's "human-induced" climate change bias)---"Intent as the enemy of truth"---is available here. [January 2017]. 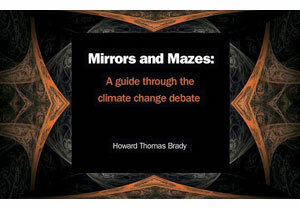 Mirrors and Mazes is written by Dr Howard T. Brady, an Australian who worked as an Antarctic scientist. 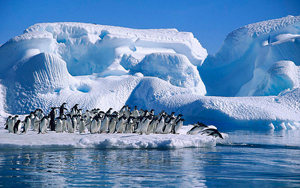 He was on four expeditions to Antarctica with the US Office of Polar Programs. In 2011 he was awarded the Alumnus Scientist of the Year by Northern Illinois University for contributions to the climate debate and to the community at large. 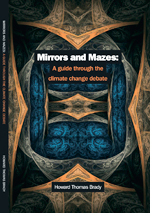 Mirrors and Mazes addresses questions we all ask: Is sea level rising? Are the Poles melting? Are storms getting worse? Are temperatures rising? How do climate models work? Could there be other future climate shocks? Mirrors and Mazes is now available. For further information, including more about the author, excerpts from the book and publication details, visit Mirrors and Mazes. It is with great sadness that we report the passing of Professor Bob Carter, who died in Townsville on Tuesday 19 January 2016 following a heart attack. The following tribute was written by Dr Jennifer Marohasy, who was a friend and colleague of Bob's. "We should prepare for climate change"
Professor Carter did not like the term sceptic, he considered himself a rationalist, and popular usage of the term 'climate change' a tautology. 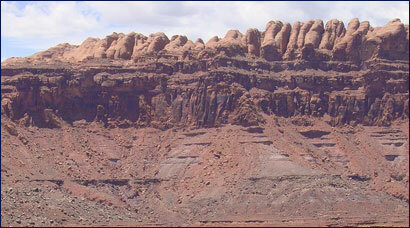 As he wrote frequently: the geological record tells us that climate always changes. In Professor Carter's passing we have lost a person who believed in value-free science. When he was still directing the Marine Geophysical Laboratory at James Cook University, Professor Carter spent an evening with me at his home in Townsville poring over a single chart that was a proxy record of New Zealand's climate over the last several thousand years. The time series data had been printed out on a long and continuous roll of paper: longer than the kitchen table so the end of the chart, that portion representing the present, was often dangling somewhere near the floor. We both presented to the Coalition Environment Committee at Parliament House on 20th October last year. Professor Carter eloquently explained, with examples, how modern temperatures are not unusually warm; that current carbon dioxide levels are low relative to geological time; that as industrial emissions are added to the atmosphere, the less the "greenhouse" warming effect of each increment of carbon dioxide. Therefore, the professor concluded, "dangerous warming of this causation will not occur." In this presentation, the Professor also emphasized the importance of the scientific method. "To the extent that it is possible for any human endeavor to be so, science is value-free. Science is a way of attempting to understand the world in which live from a rational point of view, based on observation, experiment and tested theory. Irritatingly, especially for governments, science does not operate by consensus and it is often best progressed by mavericks. The alternative to a scientific approach is one based on superstition, phobia, religion or politics." So, wrote Bob Carter in an article entitled 'Science is not Consensus', published by the Institute of Public Affairs in December 2003. Other tributes and notices for Professor Carter may be found at JoNova's website and the Heartland Institute. A selection of his papers published on the Lavoisier website may be found here. The public are being deprived of important information necessary for them to make decisions, including decisions that could affect their survival, because of information unwittingly withheld by the media. The problem arises out of the fact that in several important controversial areas the majority of scientific experts hold a belief that is contrary to the latest scientific evidence. Because those in the media have concluded that the majority of medical or scientific experts must be correct, they have decided not to air viewpoints that conflict with those of the consensus of experts. This avoids the criticism by those with vested interests that people might be given wrong information that might put them at risk. Summary: "The most important fact about climate science, often overlooked, is that scientists disagree about the environmental impacts of the combustion of fossil fuels on the global climate. There is no survey or study showing "consensus" on the most important scientific issues, despite frequent claims by advocates to the contrary. 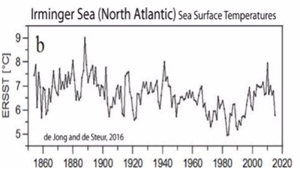 Veteran journalist Gunter Ederer has written a piece reporting that massive alterations have been found in the NASA GISS temperature data series, citing a comprehensive analysis conducted by a leading German scientist. These results are now available to the public. Ederer reports not long ago retired geologist and data computation expert Professor Dr. Friedrich Karl Ewert began looking at the data behind the global warming claims, and especially the datasets of NASA's Goddard Institute of Space Studies (GISS). A public statement from the Climate Study Group, placed in The Australian newspaper, November 2015. PDF is available here. Peter Mervyn commenting on "French weatherman Philippe Verdier sacked for being a climate sceptic"
"The only true, accurate and reliable global temperature data sets are the two satellite temperature data sets. Virtually every cubic inch of the atmosphere is scanned by these NASA satellites. The data is validated by weather balloon radiosonde temperature data. In the last 18 years and 8 months, there is no doubting that the atmospheric CO2 concentration has risen for whatever reasons. 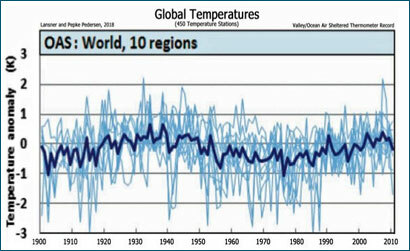 Yet the satellite temperature data show there has not been any global warming over that same period. So what we have is an extensive data set kept by the University of Alabama, Huntsville and the one kept by Remote Sensing Systems, both confirming the same thing ... the data represents actual measurements, being first-class real world observational data ... and the data shows no discernible global warming over the last 18 years and 8 months. That demonstrates that the climate models get an "F" for fail. It also shows that the pseudoscience behind the IPCC's supposition, and the supposition itself, that CO2 emitted by human activity is causing catastrophic global warming and is the key driver of climate change are absolute rubbish!" Since the Turnbull Prime Ministership, Environment Minister Greg Hunt has used somewhat tougher language in selling the government's intent to force a reduction in Australia's greenhouse gas emissions. For the true believer, it is too awful to even consider that the Australian Bureau of Meteorology could be exaggerating global warming by adjusting figures. This doesn't mean, though, that it's not true. Graham Lloyd, the Australian's Environment Editor, has a fascinating piece in Friday's paper about the Southern Ocean's renewed ability to absorb increased amounts of carbon dioxide from the atmosphere. 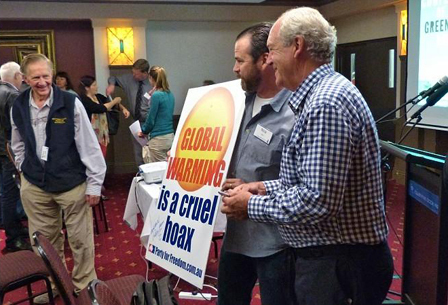 Des Moore: "Exposing the myths of climate change"
A presentation to the Forum on Climate Change held in Noosa, July 2015. PDF of the presentation is here. The PDF of the item (graphics and text) is here. The PDF of the Report (June 2015, 29 pages) is here. YouTube video link is here. "A New View On Climate Change Involving the Relevance of Behavioural Economics"
Recent results in psychology research have made a significant contribution to behavioural economics. The results are also relevant for determination of public policy. On this basis implications for climate policy are reviewed. "The Potency of Carbon Dioxide (CO2) as a Greenhouse Gas"
According to this study the commonly applied radiative forcing (RF) value of 3.7 Wm-2 for CO2 concentration of 560 ppm includes water feedback. The same value without water feedback is 2.16 Wm-2 which is 41.6 % smaller. 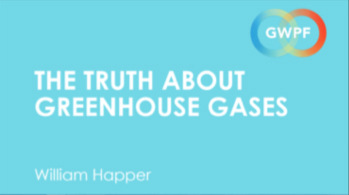 Spectral analyses show that the contribution of CO2 in the greenhouse (GH) phenomenon is about 11 % and water's strength in the present climate in comparison to CO2 is 15.2. The author has analyzed the value of the climate sensitivity (CS) and the climate sensitivity parameter using three different calculation bases. These methods include energy balance calculations, infrared radiation absorption in the atmosphere, and the changes in outgoing longwave radiation at the top of the atmosphere. According to the analyzed results, the equilibrium CS (ECS) is at maximum 0.6 ¬¨‚àûC and the best estimate of climate sensitivity is 0.268 K/(Wm-2) without any feedback mechanisms. The latest warming scenarios of Intergovernmental Panel on Climate Change (IPCC) for different CO2 concentrations until the year 2100 include the same feedbacks as the 2011 warming i.e. only water feedback. The ECS value of 3.0 ¬¨‚àûC would mean that other feedback mechanisms should be stronger than water feedback. So far there is no evidence about these mechanisms, even though 40 % of the change from 280 ppm to 560 ppm has already happened. The relative humidity trends since 1948 show descending development which gives no basis for using positive water feedback in any warming calculations. Cloudiness changes could explain the recent stagnation in global warming. The full paper [PDF] is available here. The co-founder of Greenpeace left his Melbourne audience in no doubt that the so-called 'environmental organisation' is a not only an enemy of progress, it regards the waste of human life as collateral damage in its crusade to hector, harass and hobble all who oppose its ambitions. Greenpeace Co-Founder Dr Patrick Moore was director of Greenpeace International for seven years, when it became the world's largest environmental activist organisation. Moore left Greenpeace in 1986. He is currently touring Australia discussing the global warming scare. The UN Climate Summit has been forgotten but we still seem to be trying to discover how long is a piece of string. While an article since in prominent science journal Nature acknowledges the "barely risen" (as it puts it) temperature over 16 years makes tenuous the aim to try to limit temperature increases to the IPCC's 2C, the authors suggest the increased energy generated by humans lies buried in the oceans and is stoking sea level rises. Yet the rate of such rises poses no serious threat to humans. Another recent report says the Presidents of the US and India have agreed to scale back the chemical refrigerants (HFCs) used in air conditioners and home appliances because they may be trapping the sun's heat in the atmosphere. Yet with no apparent effect on temperatures. Of course, the US Administration recently claimed that global warming is a bigger threat to mankind than Islamic State. More sensibly, former head of the National Climate Centre, William Kininmonth, argued in his letter in The Australian that queries about the temperature data published by the Bureau of Meteorology should be examined not on their own but as part of a full and open scrutiny of the scientific methodology used. 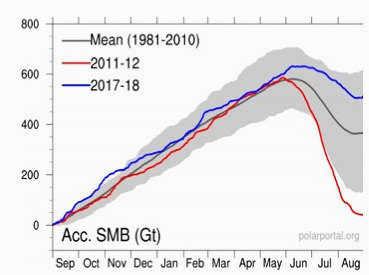 Indeed, the stage has surely been reached in the climate change string where a thorough explanation needs to be provided to a confused public of the justification for governments continuing to spend taxpayers money on policies designed to reduce temperatures which are already stagnant. Desirably, such an explanation should be made before any decision on continuing the enormous subsidies for renewable energy. Former co-founder of Greenpeace, Canadian Patrick Moore, is due shortly in Australia to explain why he is a convert and now accepts the growing sceptical view of the dangerous warming thesis. He is even trying to obtain access to Abbott to explain why he should become a full sceptic. Moore (no relation) is a much sought after speaker overseas and, thanks to the sponsorship by Case Smit (who brought Monckton to Australia) will be making presentations from 20 October. The RSS monthly satellite global temperature anomaly for September 2014 is in, and the Great Pause is now two months longer than it was last month. Would this year's el Ni‚àö¬±o bite soon enough to stop the psychologically-significant 18-year threshold from being crossed? The official answer is No. "Global warming orthodoxy is not merely irrational. It is wicked." Personal Submission to the Senate Committee on Recent Trends in and Preparedness for Extreme Weather Events. 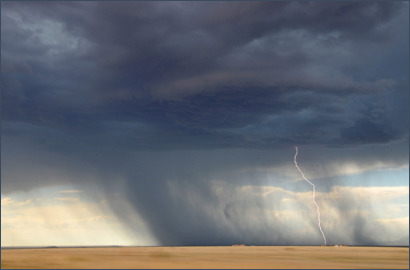 South-Eastern Australia needs to prepare for hot dry conditions in the summer of 2019 and possible extensive flooding in 2029. We are all aware of the climate enthusiasts, who advocate quite substantial, and costly, responses to what they see as irrefutable evidence that the world's climate faces catastrophe. By employing a sanctimonious tone against people who do not share their view, they show their true colours: to them the cause has become a substitute religion. Increasingly offensive language is used. The most egregious example has been the term "denier". We are all aware of the particular meaning that word has acquired in contemporary parlance. It has been employed in this debate with some malice aforethought. An overriding feature of the debate is the constant attempt to intimidate policy makers, in some cases successfully, with the mantras of "follow the science" and "the science is truly settled". 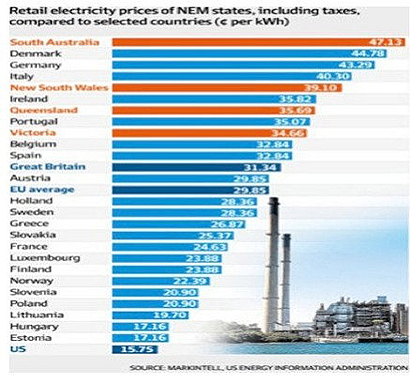 "Various commentators are telling us we must have a "price on carbon". One presumes they mean that we need to levy a tax on emissions of carbon dioxide, which is not quite the same thing. Currently NSW is suffering from the worst bushfires for a decade. These bushfires are emitting many megatonnes of CO2, arguably equivalent to Australia's annual emissions of anthropogenic CO2. Does the atmospheric CO2 from bushfires play a different climate control role to mankind's emissions? If not, then who is to pay the tax on them? This on-going "carbon" lunacy becomes increasingly difficult to challenge, since the language and the slogans used by the Warmists have no connection with the real world." "The story from Germany becomes increasingly fantastic (although tragic for the Germans). The account of a secret deal between Germany and the UK in which Germany could save its auto industry, and Britain keep its financial services sector in good health is something out of Fawlty Towers - "Don't mention the War". For related articles, see our Most Recent Additions page. The meeting of the Intergovernmental Panel on Climate Change in Stockholm this week is arguably the most important in its 25-year history. The meeting is to finalise the fifth IPCC assessment report, the UN's formal advice to governments. Since the release of the fourth report in 2007, the IPCC finds itself battling to retain credibility as a source of independent advice to governments. Written by Bob Carter and John Spooner, Taxing Air: Facts and Fallacies About Climate Change was successfully launched by Senator Cory Bernardi at the Bert Kelly Research Centre in Adelaide on 29 July. Speakers at the launch included Lydia Bevege (Institute of Public Affairs), Centre Chairman Bob Day and author Prof. Bob Carter. More information and images here. BOOK LAUNCH: "Reflections of a Professional Engineer"
George Fox AM was a founding member of the Lavoisier Group. He had a long career with the English Electric Company as managing director for Australia, after which at age 55 he formed his own small business which he ran for the next 43 years. He was on the boards of 12 companies, represented numerous manufacturers, ranging from turbine blades to arc furnaces to transportation systems and spent much time and energy giving back to the profession. For more than a decade he championed a realistic and fact-based view of climate change, deriding false science. He was made a Member of the Order of Australia for services to engineering in 2007 and also received the James N Kirby Award for outstanding contributions to electrical engineering. George Fox died in June 2012 aged 98. His memorial service was held in Pymble on 14 June which noted that he was still on the board of one company at the time of his passing. He had had a huge innings, packing in the '60 seconds worth of distance run' every waking minute. He had completed the text of his book at the time of his death. "Reflections of a Professional Engineer" was launched on Wednesday 19 December 2012 at 4.30pm at Engineers Australia Auditorium in Chatswood in Sydney. Further information may be found here. Ray Evans' obituary notice is here. Copies of the book will be available on the evening for purchase, at $65.00 nett. Cash or cheque payable to 'ECF Engineering Pty Ltd'. To obtain a copy please write to Robert Fox at bob@fox-com.com. "How many excuses does it take? The Western Climate Establishment has allowed egregious mistakes, major errors, and obvious biases to accumulate - each factor on its own might be hard to pin down, but the pattern is undeniable." "The public might not understand the science, but they do understand cheating..."
Download the PDF [4.5 Mb] here. In November 2009, an anonymous whistleblower put just over 1000 emails comprising email traffic to and from the Climatic Research Unit (CRU) at the University of East Anglia (UEA) on an obscure Russian website. They were subsequently rapidly disseminated around the world. These emails show a tightly knit cabal of scientists adjusting temperature data to conform to their political agenda; exerting pressure to censor publications going into the "peer reviewed" literature (usually with complete success); bullying journalists with threats of excommunication so that what was published in the mainstream media was in accordance with the global warming agenda; and using the Intergovernmental Panel on Climate Change (IPCC) as the primary vehicle for their political ambitions. To work through these emails, in order to discover what was going on, is a major undertaking. John Costella has provided us with an edited and annotated account of the emails which enables the lay person, in a relatively short time, to understand what was going on and how it was done. This PDF version of the published book will provide access to everyone who is concerned with this great debate. It is available here. Back to the Nineteenth Century, comprises three essays by Ray Evans (on the social and economic consequences of the CPRS), Tom Quirk (on the shortcomings of the IPCC science) and Alan Moran (on the economic consequences of the Act, especially for energy), together with a foreword by Peter Walsh. The publication is available in either of two forms: as hard copy or as an online PDF file. To order a hard copy, please send your details to the Secretary here. 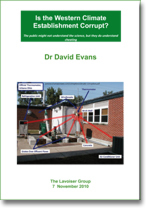 Please include your name and postal address and the number of copies you would like to receive. The Lavoisier Group would be grateful to receive donations to cover postage and printing costs. If preferred, the booklet may also be downloaded as a PDF file. To download it, please click here [2.9 Mb PDF].